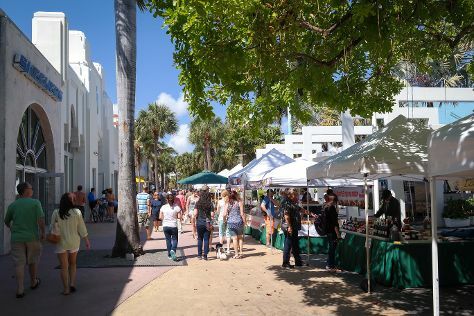 Get out of town with these interesting Miami side-trips: Everglades National Park (Shark Valley, Anhinga Trail, & more), Fort Lauderdale Beach (in Fort Lauderdale) and Wiener Museum of Decorative Arts (WMODA) (in Dania Beach). Next up on the itinerary: wander the streets of Lincoln Road, explore the world behind art at Wynwood Walls, browse the different shops at Bayside Marketplace, and admire all the interesting features of American Airlines Arena. For maps, reviews, ratings, and other tourist information, go to the Miami trip itinerary maker app . If you are flying in from Brazil, the closest major airports are Miami International Airport, Fort Lauderdale Hollywood International Airport and Palm Beach International Airport. In April, plan for daily highs up to 34°C, and evening lows to 25°C. Finish your sightseeing early on the 21st (Sun) to allow enough time to travel back home.